Marjorie Banyea Surrell, 96, died Thursday morning, April 13, 2017, at her home in Newport. She was born Feb. 12, 1921, in Newport, the daughter of Amos and Grace E. (Springer) Banyea. She attended Windsor schools and graduated from Springfield High School in Springfield, Vermont. On Oct. 20, 1940, she married Ralph Winthrop Surrell. They made their home in Windsor, where they raised their three children. Being a homemaker she was involved, when her children were growing up, in leadership roles for the Brownies, Cub Scouts and Girl Scouts organizations in Windsor, which she greatly enjoyed. Later she worked at Polly’s Flower Shop on Main Street in Windsor as the assistant clerk of floral arrangements. Marjorie was predeceased by her husband, Ralph, who died Jan. 8, 2002; two brothers, Leonard Banyea and Raymond Everett Banyea; a sister, Dorothy Cummings; and a longtime companion, Leighton Monroe. She is survived by her son, Raymond Erwin Surrell of Walpole; two daughters, Gloria Jean Bruce of Skowhegan, Maine and Janice Dee Hammond of Glover, Vermont; 15 grandchildren, 29 great-grandchildren, six great-great-grandchildren, as well as many nieces and nephews. A private graveside service will be held at a later date at Ascutney Cemetery in Windsor. 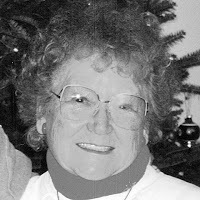 Condolences may be expressed to Marjorie’s family in an online guestbook at www.knightfuneralhomes.com.